Anyone else experiencing this? While I'm gaming I'll notice that the system starts charging, but it will have been full charge when I started. It drops to about 94-96% and floats there during the gaming session, then when I stop it charges back up. I never unplug the system while gaming, yet it seems to be losing charge while under serious load. I have an Alienware 15, early 2015 model, with an Nvidia 980M, 16GB RAM, i7 4710. 512GB SSD + 1TB spinning drive. Someone help me out here. I want to know if I should get my system looked at/replaced. Not only do I use this for entertainment, but also for music production and work. A post from an Alienware rep would be appreciated, but anyone else here in the community with a similar experience please feel free to post here. This is what happens with a hybrid bios when your using the 180w power supply unit. Hybrid bios is A01 through A05, A00 doesn't do this. Since you have the 980m graphics card you can call dell and they will send you a 240w power supply for free (if you live in canada/usa, other countries do not have access to this option for free I'm told). The 980m requires more power than the 180w provides during high load. A hybrid bios will use power from the battery to augment the power supply when needed during high load. This is why your seeing the drop. 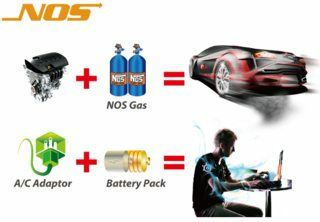 Welcome to MSI's old outdated Nos battery turbo boost technology aka Dell's new hybrid bios with a too weak power adapter adopted from MSI. Msi stopped this nonsense and launched a 230W psu instead of this garbage. An ingenious technology that effectively kill a laptop battery very fast in a short time. LoL. Obtain a more powerful psu or buy a new battery long before time. Dell will happily sell you a expensive battery or three before you buy a new Dell laptop. SO if that's the case, I have an old power adapter from an M17X R4 that I believe is rated at 240W. Would that be safe to use with my new Alienware 15 (early 2015)? Thanks for the help! I'll try gaming with the new PSU and post if there's any development. So the 240W PSU works wonders. Better performance all around, cooling is still great. Getting a fresh one shipped tomorrow. Will follow up if anything develops. Thanks again! Could i use the old 330w? My Alienware 15 with Nvidia 980M drains battery too fast. It shows discharge rate of 60k mW and I'm using a 180W charger. Battery life doesn't last past 1.5 hours. I need help with this. Dell has already switched my battery and just changed my motherboard.